I can’t be the only one who was totally excited last week, when autumn officially started? Although my depression has always tended to be worse during the colder months (blame those grey, dull skies), there’s such a sense of excitement when the leaves start to fall. There’s so much going on over the next few months for our family, and I’m feeling very positive. One of the things I love most about this time of year, is that I get to eat some of my favourite comforting foods. I am a big fan of warming meals at the end of the day and I thought I would round up some of my all time favourite meals for this time of year. 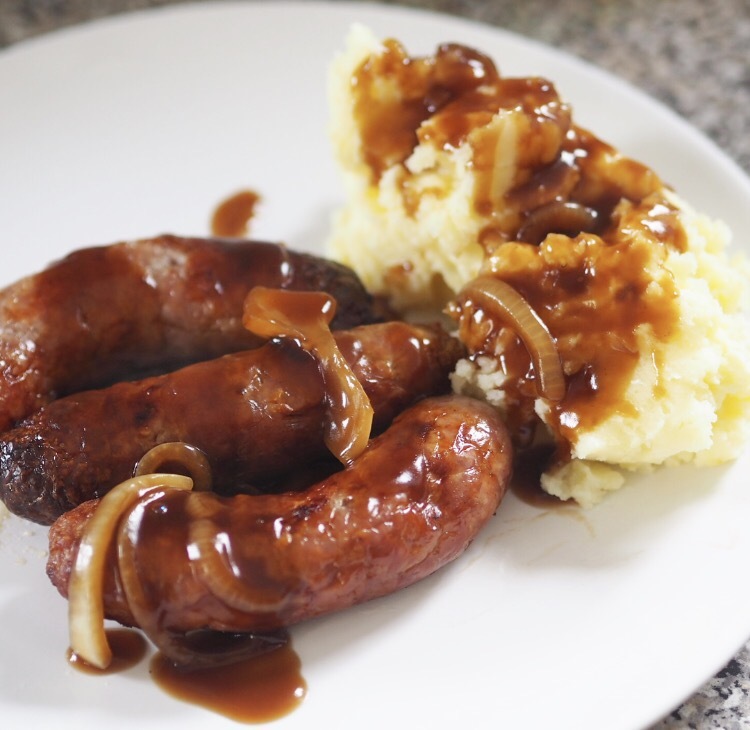 There’s something so comforting about sausage and mash. No matter what my age, it somehow feels like I’m back to being a child and being cooked for by my mum. I love it with thick onion gravy on top. Yum! Homemade is best but I’m not too fussy. I don’t eat pie a lot, but once I get a craving for it I have to have it. I used to make chicken and sweetcorn and steak pies quite regularly when I was a bit younger, and I need to get back into it (although my waistline won’t thank me). This has become a bit of a speciality of mine over the past few months. I tend to overdo it on the cheese and barbecue sauce, but my word it tastes incredible! Not healthy (due to the large amounts of aforementioned cheese), but this is the perfect food to eat after a long day, and it’s relatively quick to cook too, win win! Another fairly simple meal but so tasty! I love to load up my jackets with beans and cheese in the daytime but if I have a jacket potato for my dinner it’s got to have something more substantial and chilli is hands down my favourite filling. I love a good warming stew, casserole or hotpot at the end of a long, cold day. Cooking them in the slow cooker makes the whole house smell so nice and welcoming. My favourite is probably a chicken casserole, closely followed by a lamb hotpot. Yum! 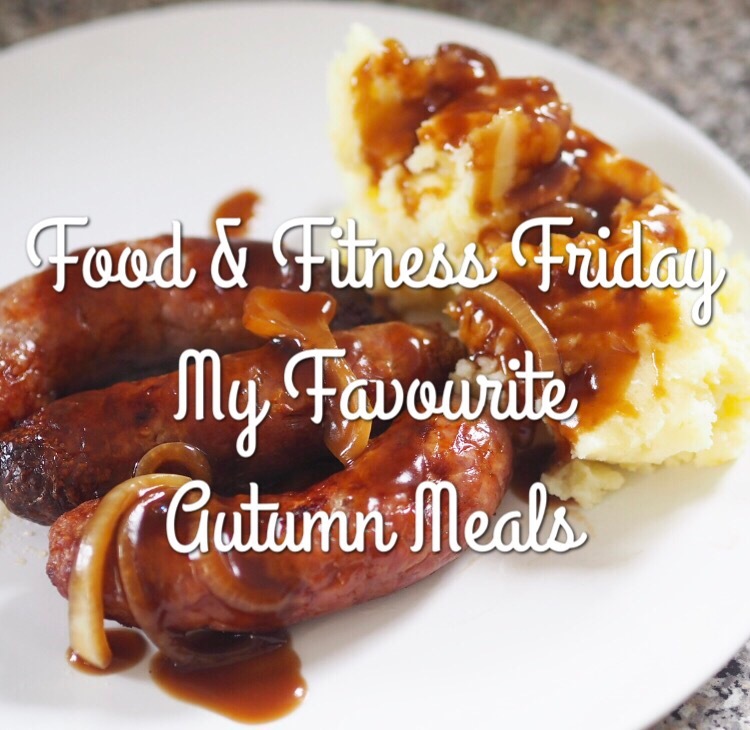 I love all of these, I think my favourites are sausage and mash and also Hunters chicken! The food looks good and it gives me some ideas for what to cook as I’ve been stuck with meals lately. Thanks for sharing. You can’t beat Sausage & Mash or Chilli! I made one last night and it was lush!